I am not intentionally trying to be inflammatory or attack anyone's views. I am more irritated with the choice of the title as it seems disingenuous. My opinions are uniformed as I have not seen the films (only the trailers). I am biased in that I assume based on the trailers that the films contain overblown, simplistic, inaccurate depictions of liberals and their views on religion. That's understandable, you need some conflict in the movie. However, I think it's a strawman. My blather is mostly unoriginal. It's what I learned in an undergrad philosophy class and from Wikipedia. In other words, I haven't done much of my homework and am a pseudo-intellectual here at best. Finally, I am not an atheist nor a devout Christian. Based on manic experiences I have feelings about the existence of God which I may share another time. Compare the statements "Santa Claus doesn't exist" vs. "Santa Claus is dead". NOT to say God is like Santa Claus, only to highlight the very big difference between those statements. In one sense, if you say "God is dead", then you have implicitly said that you think God existed and was alive at one point. That is not what any atheist thinks; they obviously believe there is no God. However, the history and meaning of God is dead is way more complicated than that if you read the Wikipedia article (I did so now I'm an expert :P). It was never about an actual God who exists or doesn't. Nietzsche and others are pointing out that God was supposed to be our internal highest value and provide the absolute grounding of morality. But we have lost all morality and have thus not realized we have "murdered" this source of internal values. With our hypocrisy we will thus sink into nihilism. 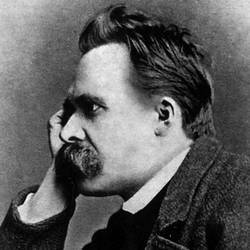 Are atheists nihilists? By no means is this necessarily the case. I think many atheists try to lead a moral life and vehemently argue that religion is not necessary for morality. Atheists and those who don't want prayer in school don't necessarily value nothing and think that "anything goes" in this world. So not only does the title "God's not dead" misrepresent atheists, it also glosses over the complexity and history of the whole statement. It does sound defiant and proud though, which I think Christians want to think they are. I'm guessing they want to think of themselves as brave in the face of perceived persecution despite the fact that we live in a country with an overwhelming Christian population with no real challenges to faith. If you want to read a short piece where God is dead is said (but not said first), check out The Parable of the Madman.